It was about this time in 1990 that I first heard about the game that would become Vampire: the Masquerade. Having seen the writing on the wall for RPGs at Games Workshop, I was planning to leave, so I was looking around for freelance work. Ken Rolston put me in touch with a young game designer called Mark Rein-Hagen, and we had a series of transatlantic phone conversations about his idea for a game where all the players would be vampires. This was a revolutionary concept at the time, and very much in tune with the 90s zeigeist. A new wave of Goth and Gothpunk was starting up. Though I wasn’t a part of it – I preferred Rainbow and Pink Floyd to the Sisters of Mercy – I had been weaned on Hammer horror before graduating to Augustin Calmet and Montague Summers, and I knew quite a bit about vampires. I was commissioned to write an introduction for the core rulebook, and I also got to see and comment on early drafts of the rules. My introduction – framed as a letter from Dracula to Mina Harker after the events of Stoker’s novel – was popular, and it was reprinted in various places over the following years. I worked as a writer and editor on almost every release during the game’s first couple of years, and I attended my first GenCon in 1991 as a guest of White Wolf publishing. In addition to working on Vampire, I wrote introductions for both editions of Wraith. My last job for White Wolf was co-writing the second edition of A World of Darkness: Mummy with James Estes, with whom I shared an office at a multimedia startup at the time. It got very good reviews, and when White Wolf released Mummy: the Resurrection as a full game, Jim and I received a “based on” credit. 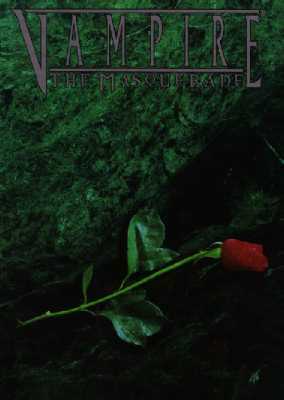 Vampire was always the flagship brand of the World of Darkness, going on to spawn a disappointing TV series titled Kindred: the Embraced and World of Darkness Online, an ambitious MMORPG that failed to set the world on fire. Initially billed as “a storytelling game of personal horror,” the original game ended up glossing over the psychological aspects of surviving as a vampire and focused instead on vampire society and politics. Its post-punk take on the children of the night can be said to have inspired movies like the Underworld series and TV series like True Blood and The Vampire Diaries, as well as a lot of urban fantasy fiction. It was also one of the first tabletop RPGs to have a significant appeal for female gamers. I look back on it with great affection.